What is strategy really, and why is it critical to success? Learn how the University of Michigan strategized their way to success. Eelco Keij has given presentations in over 30 countries focusing on U.S. foundations giving internationally. Gain an international perspective on U.S. giving in this feature. Longtime prospect development professionals and friends Jeff Walker and Cecilia Hogan have a conversation about retirement, beginnings and all things in between. This is part two in a two-part article that delves into the process of evaluating commercial real estate. Learn how to research commercial properties and carry out the appropriate math. This two-part trek through commercial real estate will enable you to not only better understand commercial real estate, but also to better partner with gift officers to strategize around donations of property. Writing a manual can be a daunting task – there’s no manual for that! The next best thing is learning from The University of Georgia, who recently created their own prospect management manual. A good model is not a crystal ball capable of foreseeing constituent behavior. But it is a way to reduce uncertainty and improve your chances of getting to a “yes" from prospects. As a U.S.-based prospect researcher conducting research on a donor or prospect who resides in Canada, you’ll need to be aware of how things are done north of the border. Prospect development professionals who work closely with principal gifts share some of their best practices for closing the most transformational gifts at their institutions. The University of Washington employed k-means clustering to effectively segment donors by giving tendencies and create donor personas that are easily understood across units. Bloated portfolio numbers led the prospect research team at the University of South Carolina to design a portfolio consultation project. Here's how they did it. Once you have leadership-buy in to build a robust data auditing process, the next steps are figuring out what exactly to audit and when to do so. How can you preserve data integrity and not lose the good opinion of development officers? The University of Washington introduced data audits. The internet allows for rampant self expression, and Prospect Development 2018 keynote speaker Ron Tite thinks "stories are way more powerful than your data." Portfolios can launch a gift officer deep into meaningful cultivation, solicitation and stewardship cycles with prospects and donors. But what about development that doesn’t fit the traditional major gifts model? Can portfolios work there? All types and sizes of prospect research shops are shifting efforts toward proactive research. Here's how the University of Arizona Foundation underwent a proactive referral project. Parents represent a readily available pool of major gift prospects that are refreshed each year. With solid partnerships and a strategic approach to prospecting, your organization can grow its number of donors and dollars significantly in the years to come. It can be difficult to stay motivated during the early stages of learning data analytics. Learn some tricks to help you push through the initial portion of the learning curve. One prospect research professional shares what she learned about the active transformation from a caterpillar lying in wait to a butterfly who explores, learns and grows. Laurie Porter has been working in prospect research since 1996. Here, she shares some words of wisdom and thoughts from the less stressful side of the road. What does "moves management" mean to the prospect development professionals who work in this specialized corner of the fundraising world? 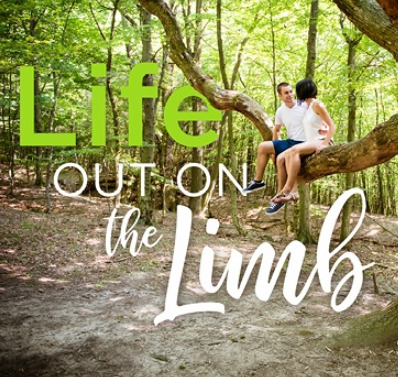 Two married prospect research entrepreneurs share their experiences about life out on the limb, in hopes of encouraging you to focus on the rewards rather than the risks to help you and our profession grow. The Clifton StrengthsFinder assessment identifies your strengths. Utilize knowledge of your strengths to increase your professional value and personal satisfaction. A digital engagement strategy that considers the data, systems and emerging analytics is vital to tracking progress, measuring campaign success and gaining insights from the data. Data analytics is a topic of increasing relevance and priority for fundraising organizations of any size or sector. Discover six ways to effectively organize, contextualize and drive analytics adoption efforts within your team, department or organization. Utilizing prospect research to target specific segments of alumni for particular engagement opportunities plugs people into activities that are mutually beneficially and result in increased engagement, and eventually financial support. A former risk analyst gives advice on approaching private business valuation from a scientific standpoint, rather than one of art. If someone “can't see the forest for the trees,” it means they get so caught up in small details that they fail to see the bigger picture. This applies to campaign preparation. In part two of this series, we examine the external factors (the "forest") to consider when developing a strong campaign. If someone “can't see the forest for the trees,” it means they get so caught up in small details that they fail to see the bigger picture. This applies to campaign preparation. In part one of this series, we examine the internal factors (the "trees") to consider when developing a strong campaign. No doubt you’re familiar with the role of prospect research for a major gift solicitation or during a capital campaign. But what about its application for the feasibility study? Just as airline pilots who miscalculate their flight path by a single degree can end up many miles off course, prospect development professionals who fail to uphold best practices can inadvertently hurt their organization’s efforts to reach their goal on schedule. Donor-advised funds (DAFs) certainly aren’t a new philanthropic trend, but they are gaining momentum. What are DAFs? Who uses them? Why are they so popular? How can your organization maximize gifts from DAFs? Read this feature! The recession remains closer than it appears in our rearview mirror and some organizations are still striving to return to pre-2008 budgets and staffing. ROI, though, is not an entirely new concept; it is a new name for an old pursuit. How can we identify prospects for the Neuroscience Institute? This was the question that research analyst Mallory Lass posed to Prospect Development at a staff meeting. Because this was a new institute, we couldn't start with donors, graduates or ticketholders. Pyramids have served as physical icons of wonder and inspiration for millennia. Perhaps it is no surprise, then, that the fundraising industry, no stranger to challenges both motivational and financial, has widely adopted the symbol. Since 2014 the prospect research team at the University of Chicago has been conducting in-depth interviews with industry professionals. Here, Aldred outlines the University's methodology, results and best practices for sharing information with prospect researchers. You will not need to rewrite your donor prediction models every year if you build your data files sustainably from the start. Simply stated, intrapreneurship is the act of behaving like an entrepreneur while working within an organization, including the willingness to accept risk and sometimes failure. It all began with our very own Philadelphia Story. Sort of. Our story captured not just the qualification work of a highly motivated gift officer, but a collective team effort. The details of political giving data constitute a large, free source of information that can lead to new prospects. Prospect researchers can use the campaign finance data as an important tool to evaluate a prospect’s giving capacity as well as learn more about the prospect’s background. Ohio University successfully raised $500 million for its The Promise Lives Campaign by overhauling its officer metrics process.